Resources on this LibGuide are presented specifically for Dr. LaTonya Steele's BUS 110 class module Doing Business in Global Markets. All Durham Tech students, faculty and staff are welcome to use the resources though. ProQuest is a company that provides article and e-book databases. Durham Tech students are probably very familiar with ProQuest Central. Below are a few ProQuest resources that relate directly to doing business in Europe. ABI/INFORM Collection is a ProQuest database that "features thousands of full-text journals, dissertations, working papers, key business and economics periodicals such as the Economist, country-and industry-focused reports, and downloadable data. Its international coverage gives researchers a complete picture of companies and business trends around the world." ABI/INFORM Trade & Industry is included in ABI/INFORM Collection. It "includes in-depth coverage of companies, products, executives, trends and other topics. With ABI/INFORM Trade & Industry users can study and compare specific trades and industries, including telecommunications, computing, transportation, construction, petrochemicals and many others." ProQuest Asian & European Business Collection contains articles from academic journals, newspapers, magazines and other sources related to business in Asia and Europe. ProQuest Business Market Research Collection includes Hoover's Company Profiles, OxResearch, US and Worldwide Industry & Market Reports from Barnes Reports and Snapshots. ICD Research Reports publishes dozens of reports per month, which contain profiles, SWOT analyses and financial analyses of many companies. Included in ABI/INFORM Collection, this periodical's reports are available in full text back to 2013. ProQuest European Newsstream contains primarily newspaper articles, but also articles from trade journals and magazines. Business Insights: Global offers international business publications offering the most comprehensive and convenient way to find case studies, in-depth statistical data, and the ability to compare global economies, countries and industries. The e-books below are all included in Credo Reference and should be useful to students interested in doing business in Europe. Be sure to search Credo Reference's hundreds of e-books to find short articles on specific topics as well. 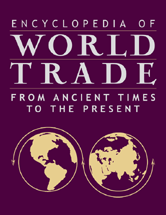 Encyclopedia of World Trade: From Ancient Times to the Present is a comprehensive encyclopedia covering the history of trade. Entries provide concise yet informative overviews of topics such as "European Union" or "Immigration." Encyclopedia of the European Union (Updated ed.) may be a little out-of-date (1998), but still contains some valuable background information about the formation and function of the European Union.